President Muhammadu Buhari has said that the salaries of all those earning above the minimum wage would be reviewed. Inaugurating a Presidential Advisory Committee on New National Minimum Wage at the council chambers this morning, he said he would be engaging those earning above the country’s minimum wage soon for the review. The President, had while presenting this year’s budget proposal to the joint session of the National Assembly last month, said he would set up a technical committee to look into the recommendations of the tripartite committee on minimum wage. In attendance at the session, were the Vice President, Yemi Osinbajo, Secretary to the Government of the Federation, Boss Mustapha, Chief of Staff, Abba Kyari, among others. 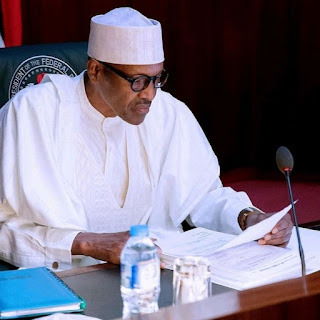 The President who said a provision for the new minimum wage had been made in the year’s budget proposal, said he is committed to the upward review of the minimum wage. “We will be engaging those currently earning above the Minimum wage,” he said, asking them to be prepared.